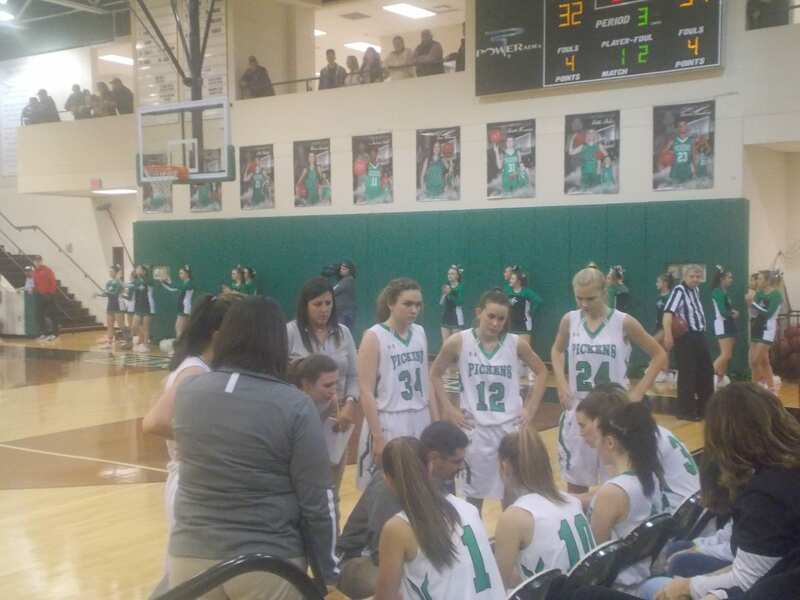 This past Friday night, the PHS Dragonettes varsity basketball team hosted the Lady Bruins of Northwest Whitfield in a big region match up. This, was the first meeting between the two teams since the region championship game last season. In the opening quarter, the Nettes’ came out on fire. Northwest Whitfield got things going on their end by the end of the quarter, and took a 13-11 lead going to the 2nd. Both teams had success in the 2nd quarter, as the Lady Bruins stretched their lead slightly as they took a 31-23 advantage over Pickens going to the break. 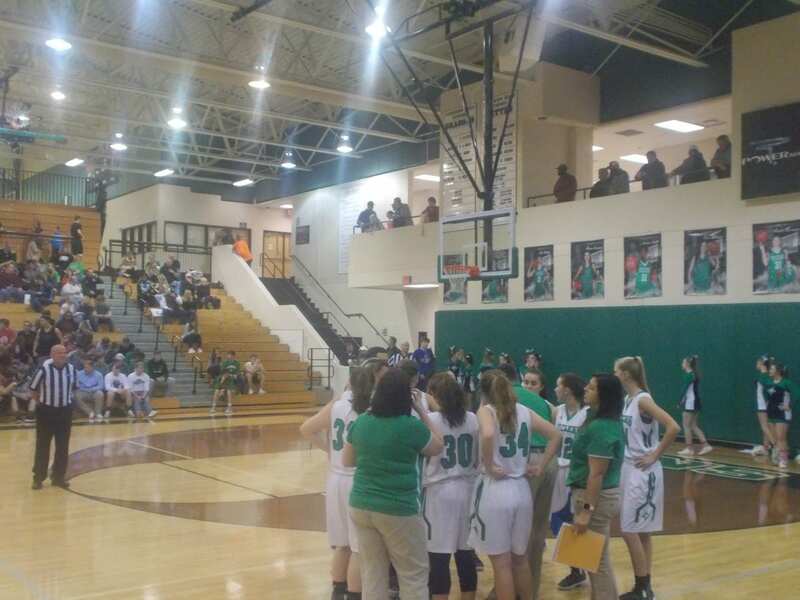 The 3rd quarter, was closely contested with Northwest Whitfield scoring 19 points, & the Nettes’ scoring 15 points. The Lady Bruins, would take a 50-38 lead, going to the 4th. In the 4th, Pickens started making a late charge. 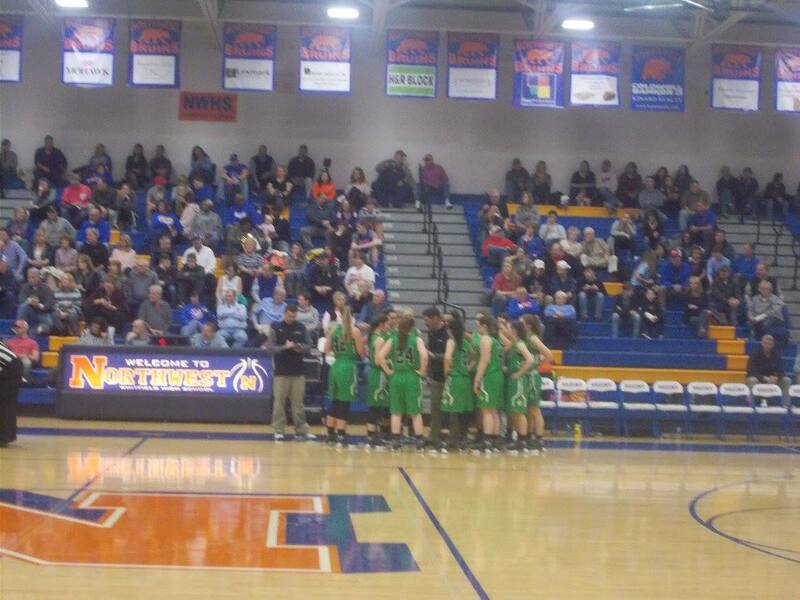 At one point in the 4th, the Nettes’, cut the Northwest Whitfield lead down to 4. The Lady Bruins however, would be able to hold on and pick up a 66-59 win. The Nettes’, will be back on the road on Tuesday as they will start a busy week in Dalton as they take on the Southeast Whitfield Lady Raiders. Tip off is set for 6 pm. 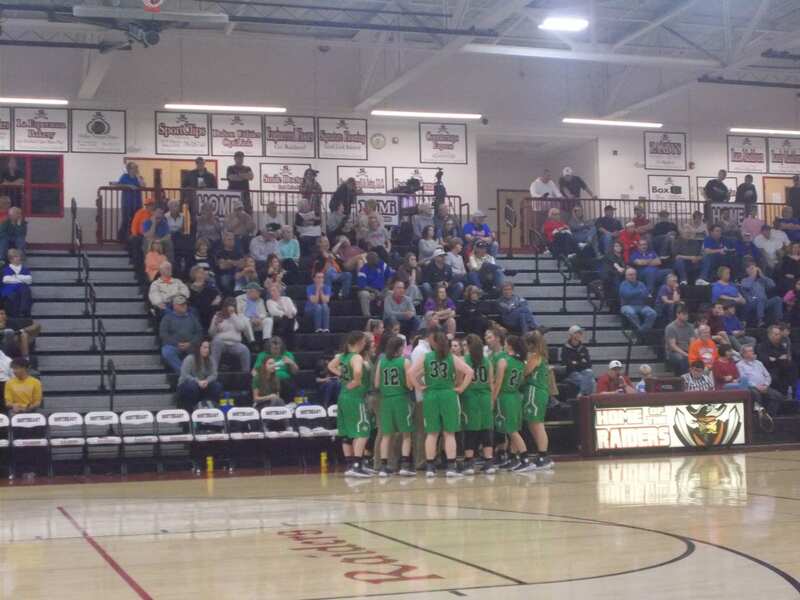 Yesterday afternoon, the PHS Dragonettes varsity basketball team was back at Southeast Whitfield for their 2nd game in the 6-AAAA Region Tournament. This time, it was a semi-final match up with the #3 seeded Heritage Lady Generals. Pickens, won both games during the regular season, but a win here, & the ‘Nettes would host the 1st round of the 4-A State Tournament. The first quarter, had a lot of action, and a lot of back and forth scoring. While Heritage started off with the lead early in the opening minutes, Pickens was able to take the lead going to the 2nd, 12-11. In the 2nd, the defense for the ‘Nettes stiffened up, & made it really tough for the Lady Generals. Using a 15-5 quarter run, Pickens went into the half with a 27-16 lead. 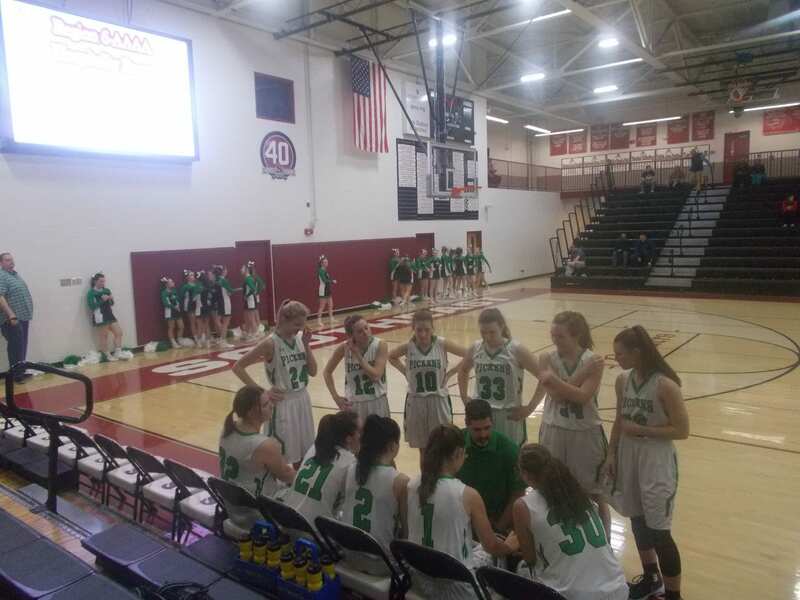 The defensive effort in the 2nd quarter, carried over to the 3rd for the ‘Nettes as they would double the scoring output of Heritage, 16-8, to stretch their lead going to the 4th, 43-24. The 4th quarter, saw the Lady Generals try for one final push. Heritage, would outscore Pickens 19-9 in the final quarter, but it would not be enough as the ‘Nettes came away with the win, 52-43. For the ‘Nettes, the win gives them a home game for the first round of the 4-A State Tournament. Even with the ‘Nettes storied past, which includes several state titles, this will be the first ever tournament game that Pickens will be hosting. 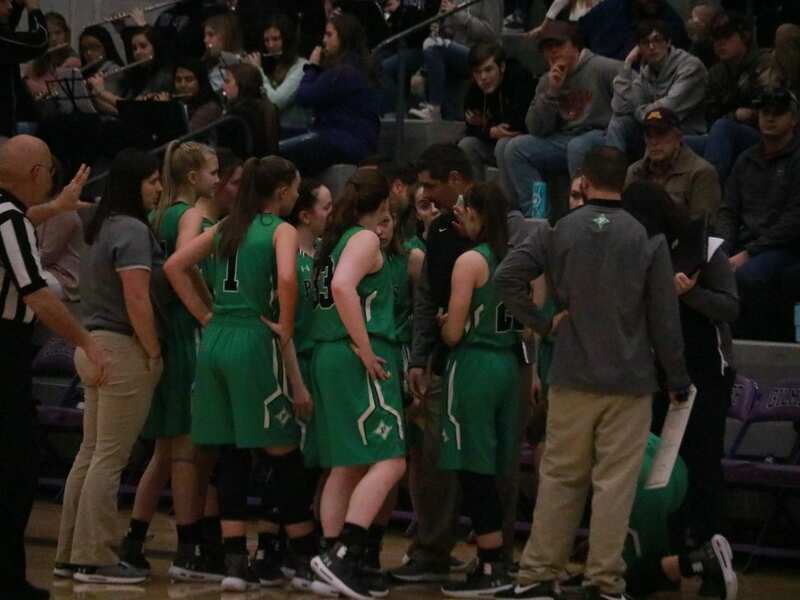 Pickens, has one more game at Southeast Whitfield this week as they will play the #1 seeded Northwest Whitfield Lady Bruins tonight for the 6-AAAA Region Championship. Tip off is scheduled for 7 pm. Last night, the PHS Dragonettes varsity basketball team traveled to Tunnel Hill to take on the region leading Northwest Whitfield Lady Bruins in the 2nd game of their home & home series. 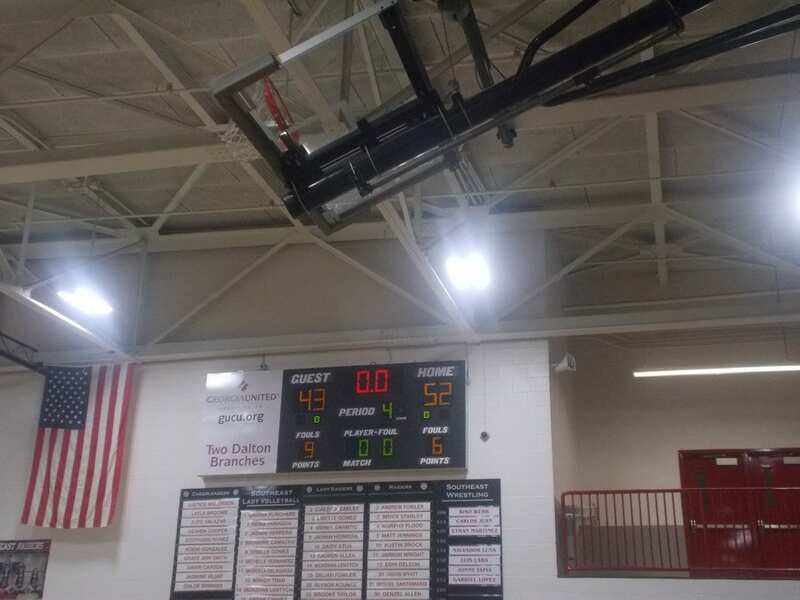 In the first meeting, the Lady Bruins came away with the win. 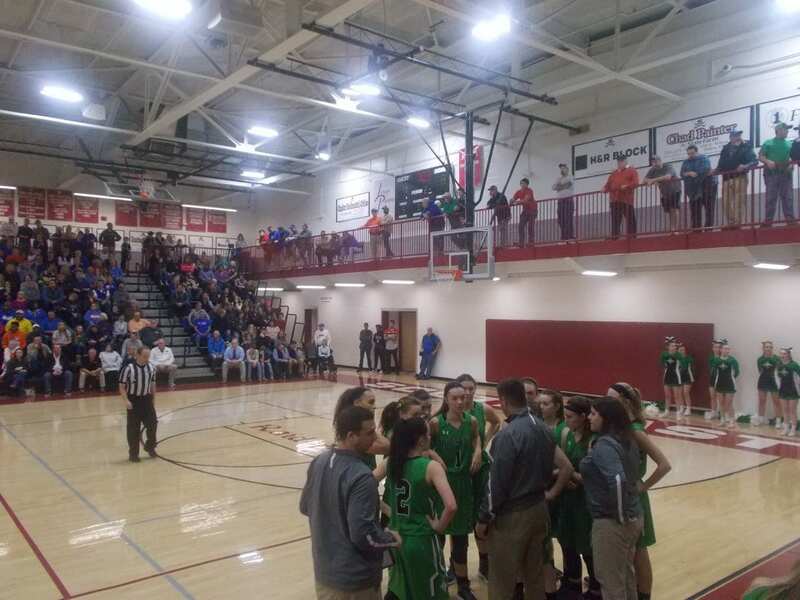 The ‘Nettes were looking to return the favor on Northwest Whitfield’s court. In the opening quarter, both offenses were able to get going despite maybe not having quality practice time due to the weather. Northwest Whitfield, held the lead over the ‘Nettes going to the 2nd, 21-17. In the 2nd quarter, Pickens cut the Lady Bruins lead in half. Using a 12-10 quarter run, the ‘Nettes only trailed 31-29 going to the break. In the 3rd, Northwest Whitfield would look to widen their lead on the ‘Nettes. The Lady Bruins, outscored Pickens in the 3rd, 20-13, to take a 9 point lead going to the 4th, 51-42. The 4th quarter, was a real tightly contested frame as the Lady Bruins were able to hold on after a 21-19 quarter run, to get the win, 72-61.